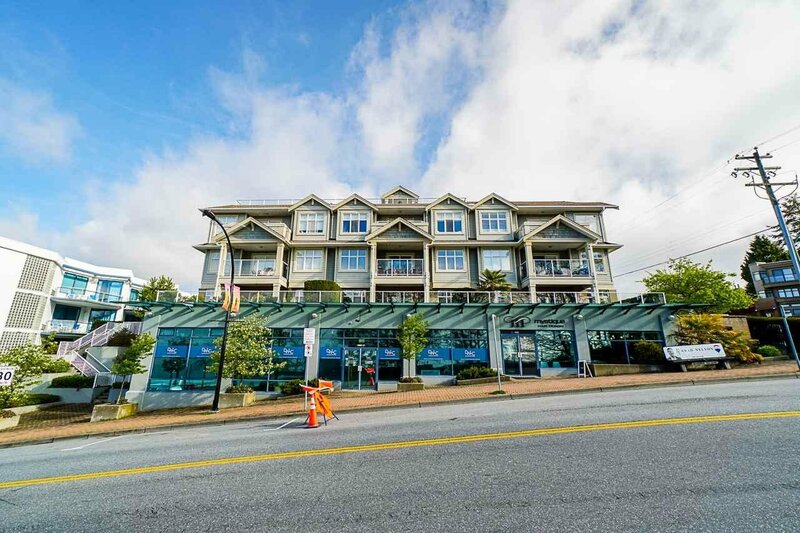 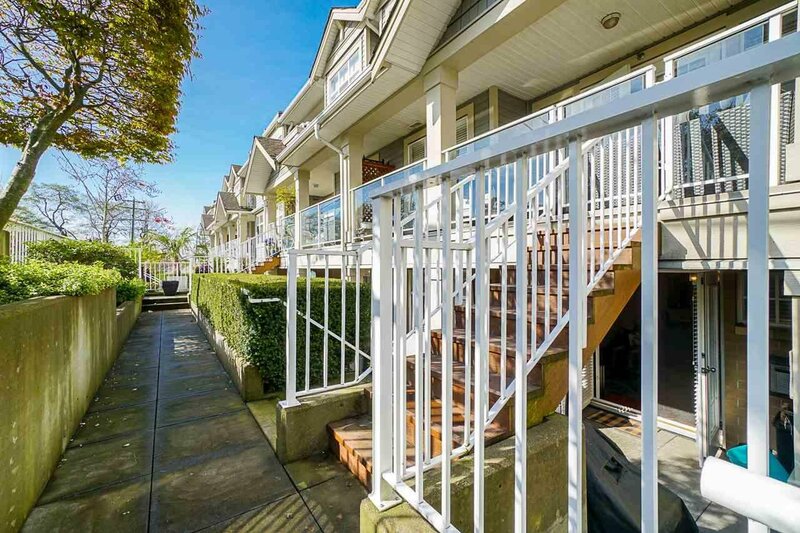 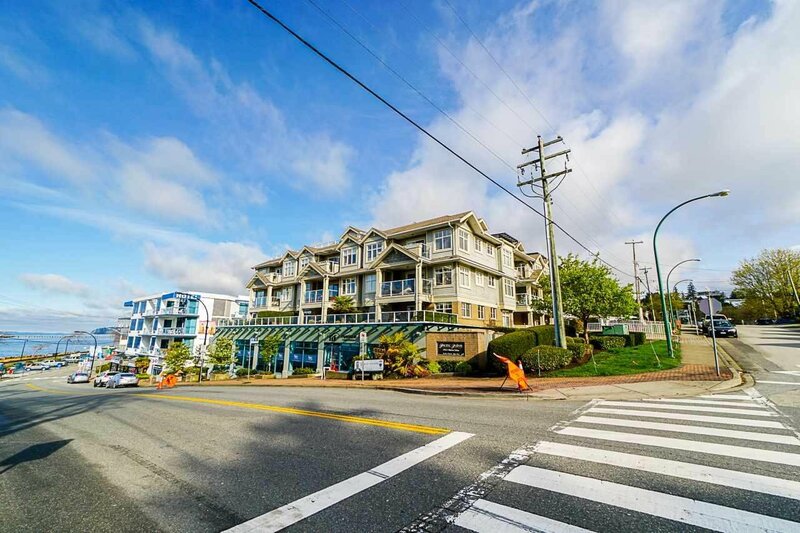 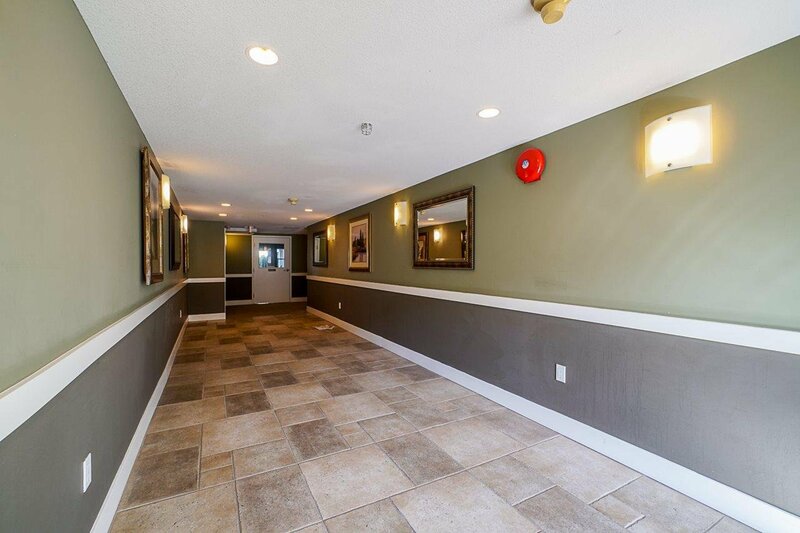 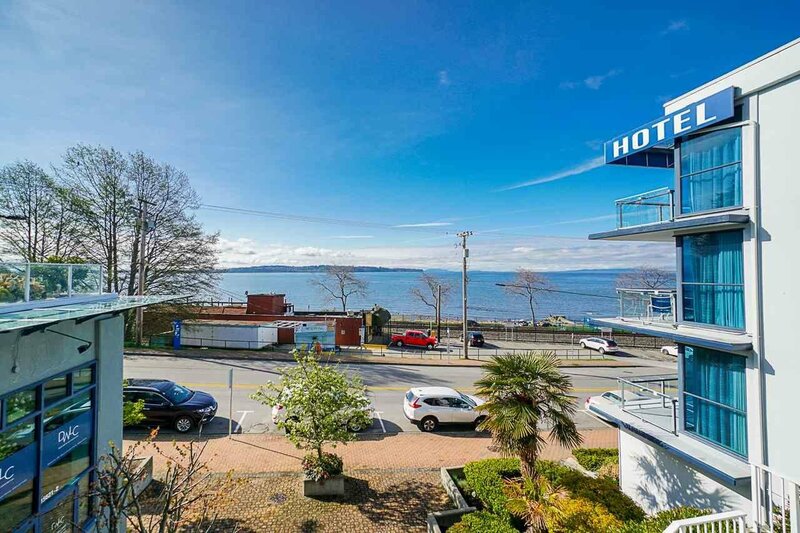 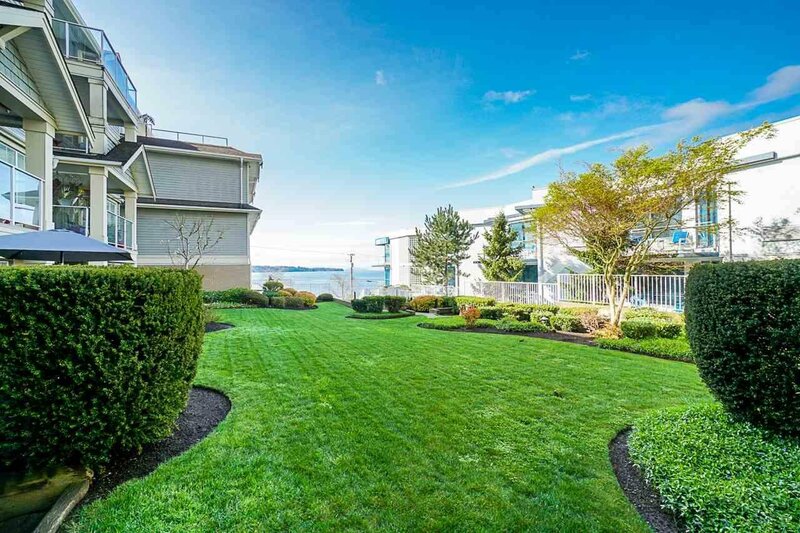 Pacific Pointe, Boutique condo building steps to the beaches of White Rock, the famous Marine Drive Promenade and all it's shops, restaurants and amenities. 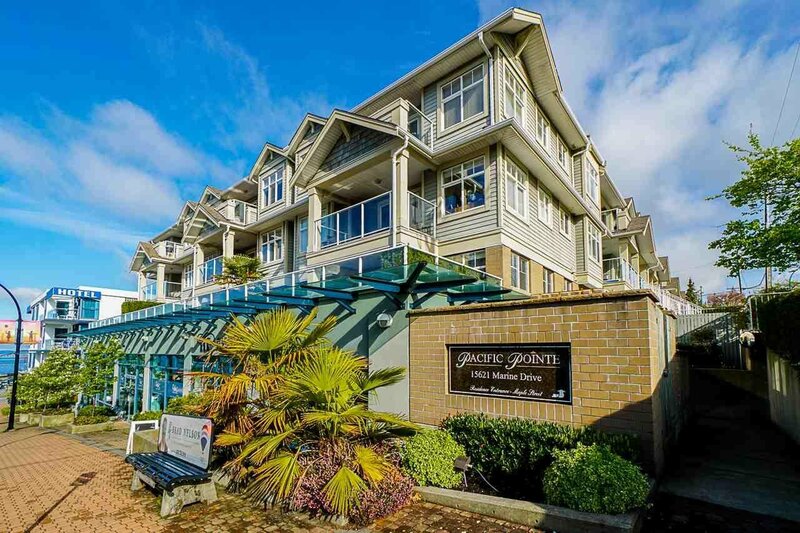 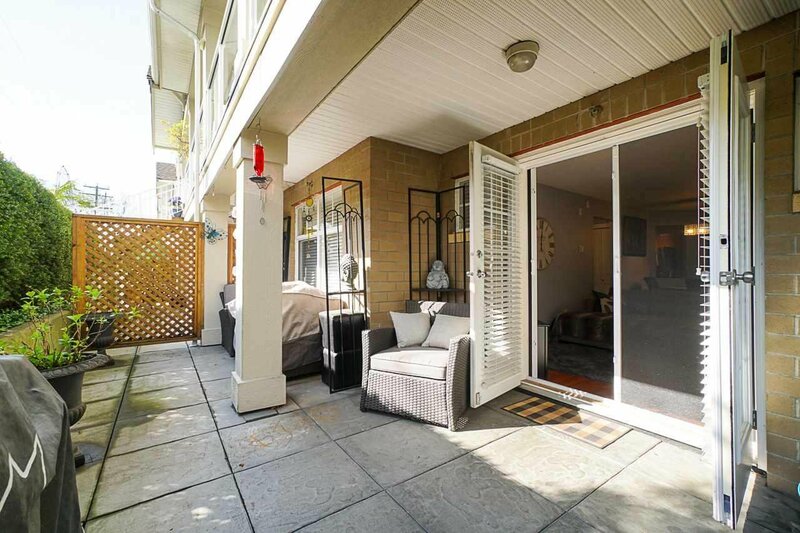 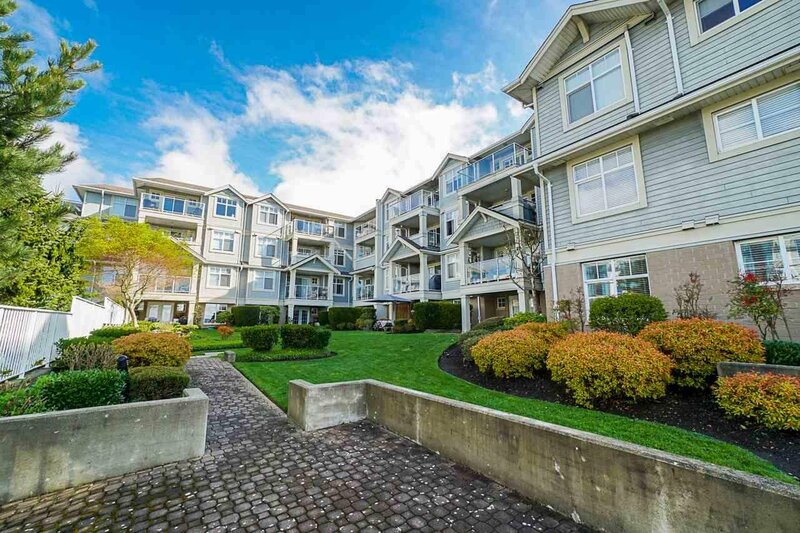 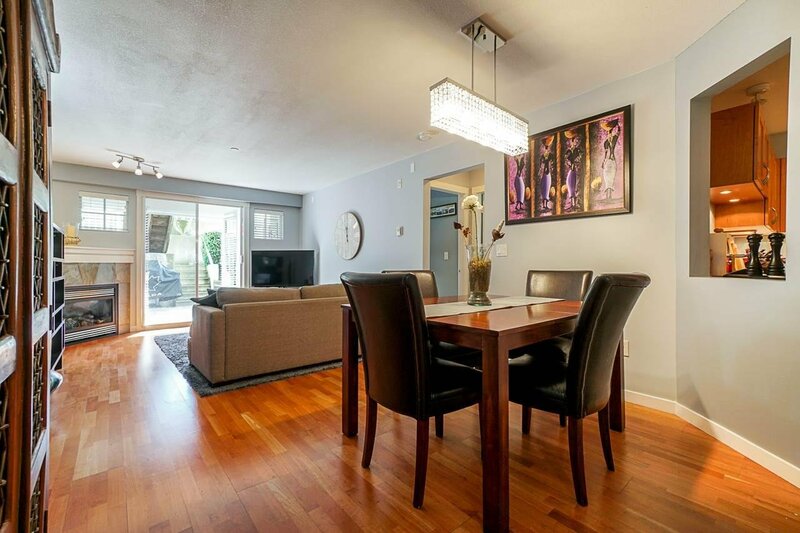 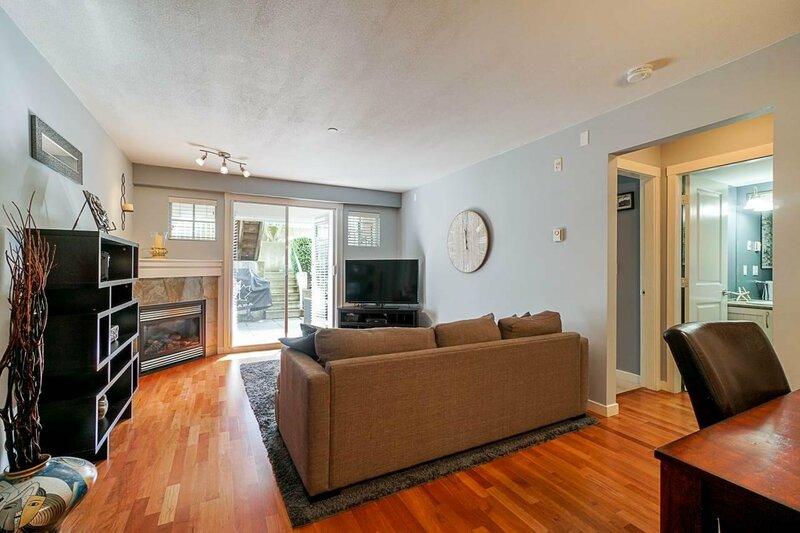 Experience beach living at it's finest in this beautiful 2 bed, 2 bath ground floor suite, set back off Marine Drive in a quiet location with separate outdoor access and a large patio that flows into the open concept living area through french doors. 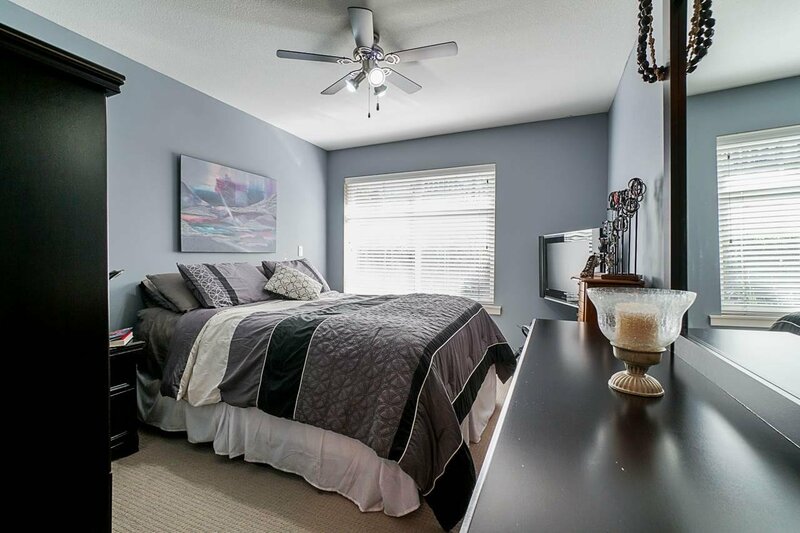 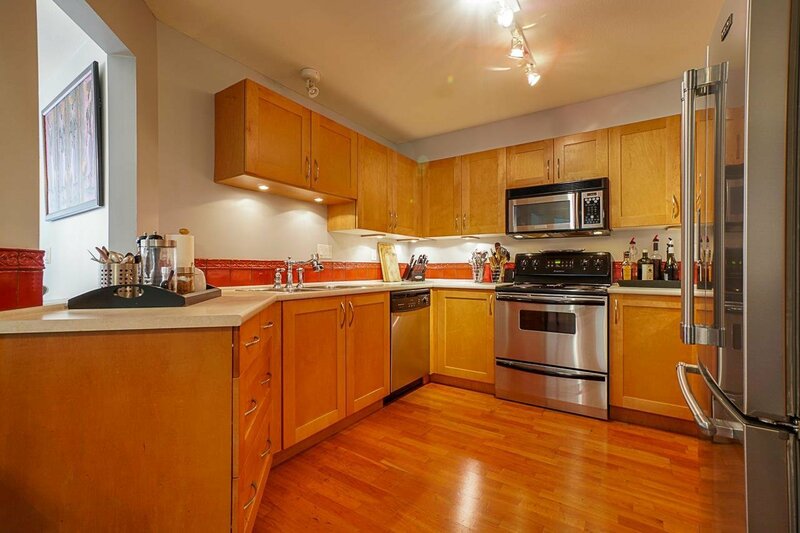 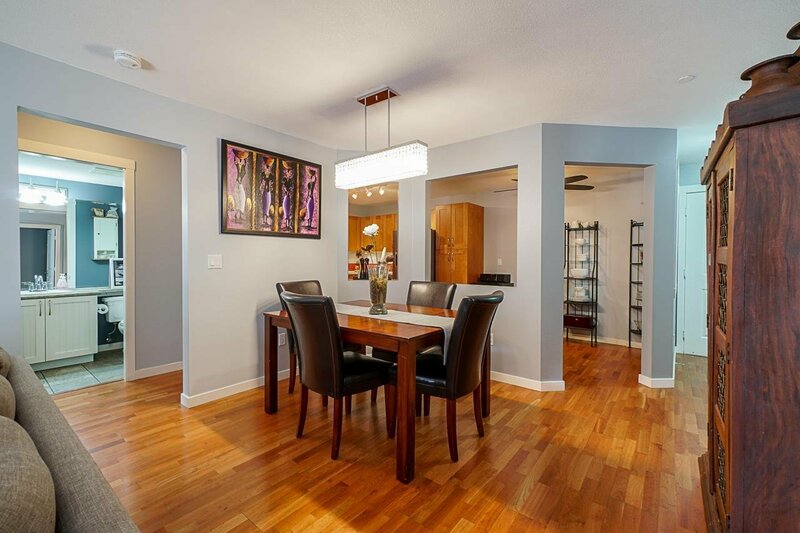 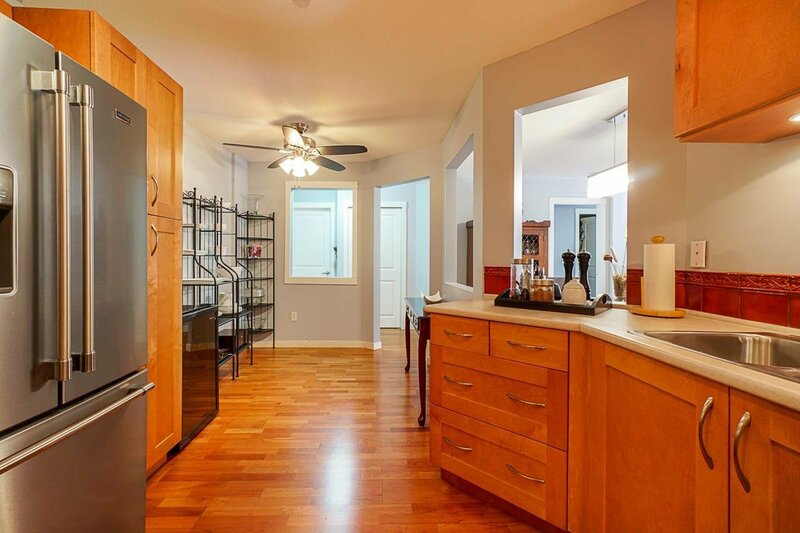 Excellent layout with bedrooms opposite each other and large kitchen with eating nook, maple cabinetry and SS appliances. 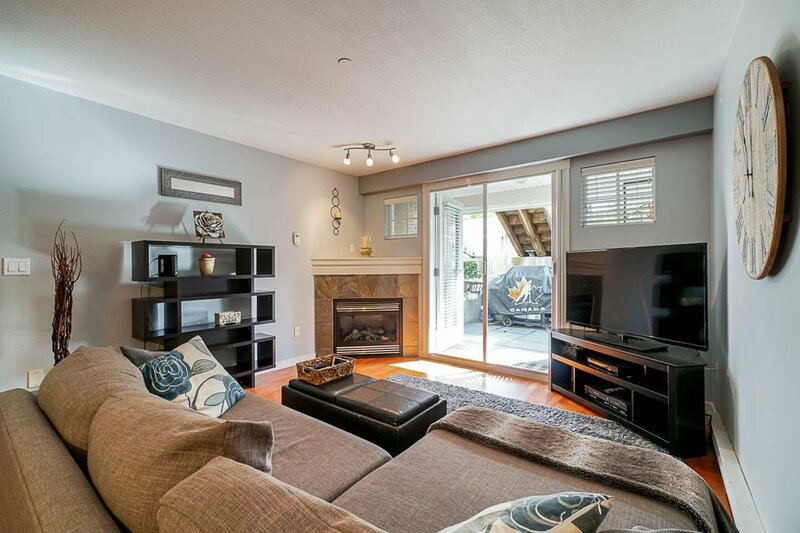 Cozy gas fireplace for those winter days and full sized laundry room with extra storage. 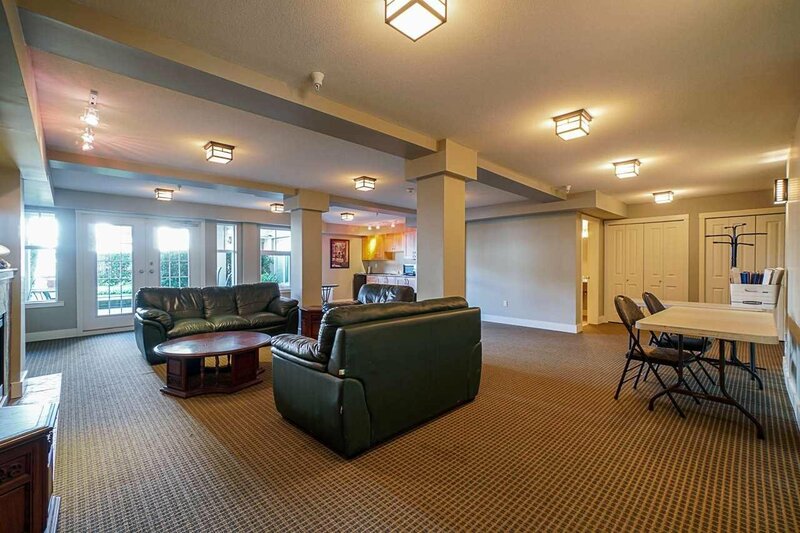 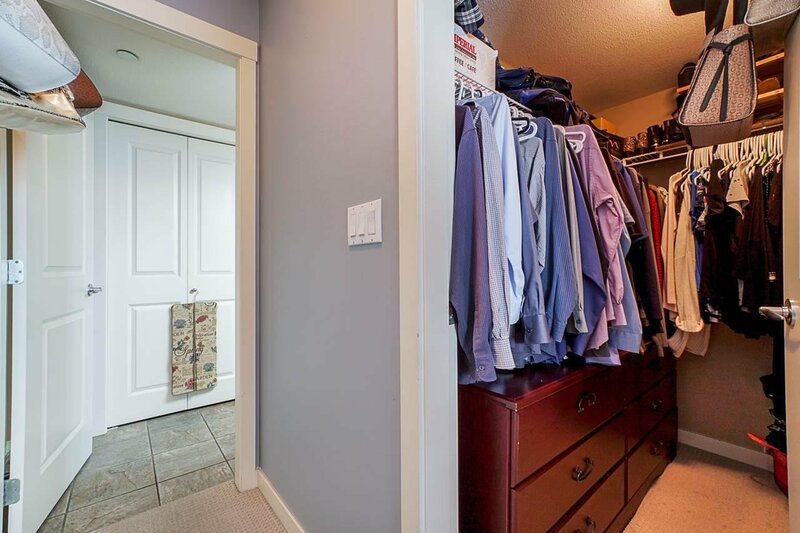 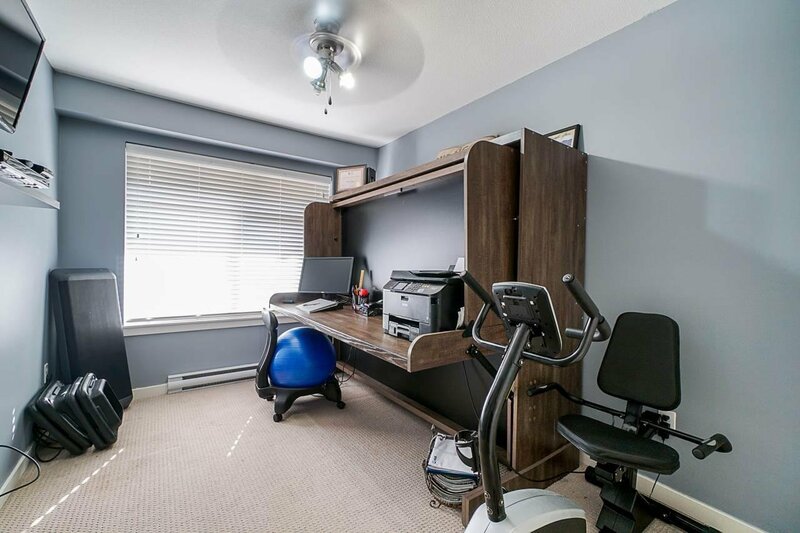 Well run complex with proactive strata, bike room and lounge area. 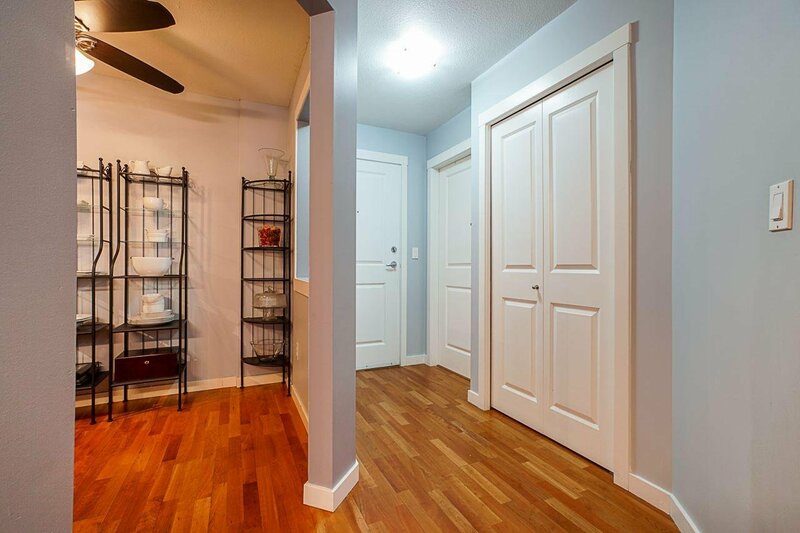 2 pets allowed dogs or cats and no age restrictions.